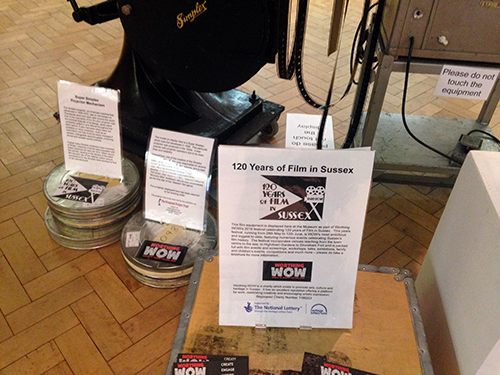 Two exhibitions took place as part of the event with Worthing Museum and Art Gallery exploring early film equipment, and Shoreham’s Marlipins Museum showcasing early filmmaking at Bungalow Town. 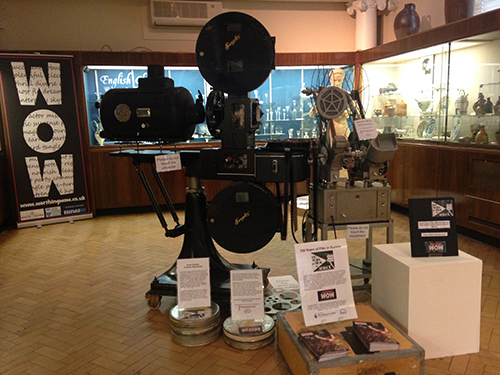 Worthing Museum proudly hosted an exhibition of film equipment from the early days of film making and film screening. 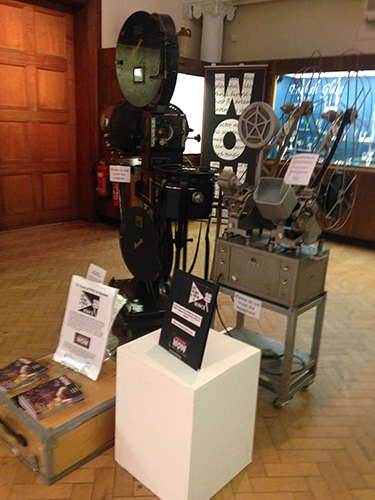 We were grateful for the support of the Projected Picture Trust who loaned us a Simplex projector and old-fashioned editing equipment. 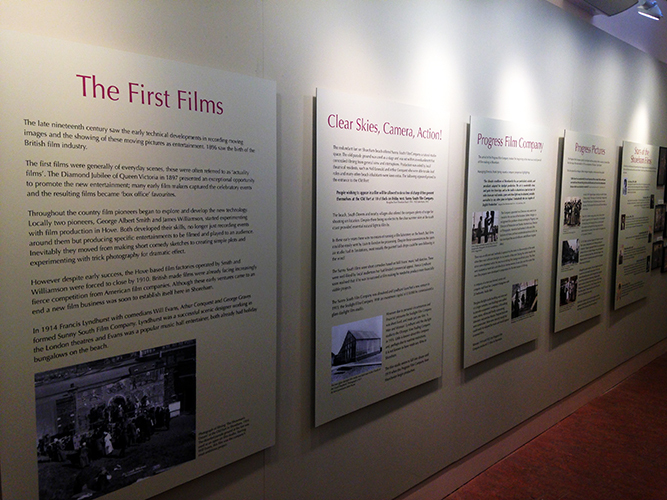 Many thanks to curator Carly Vaughan and Allen Taylor from the Projected Picture Trust. 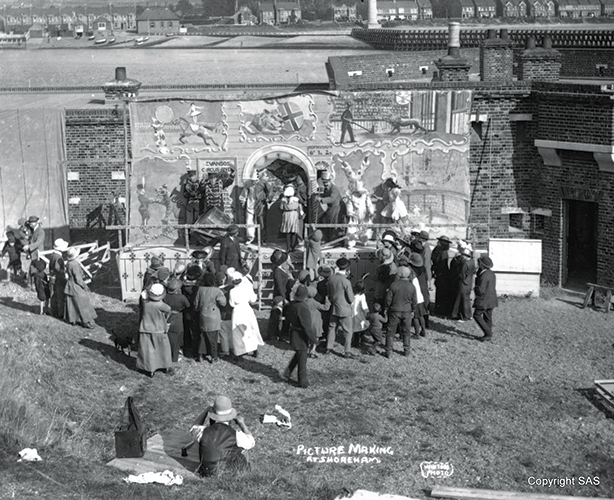 The early twentieth century saw a vibrant influx of new residents and industries to our small south coast seaside town. 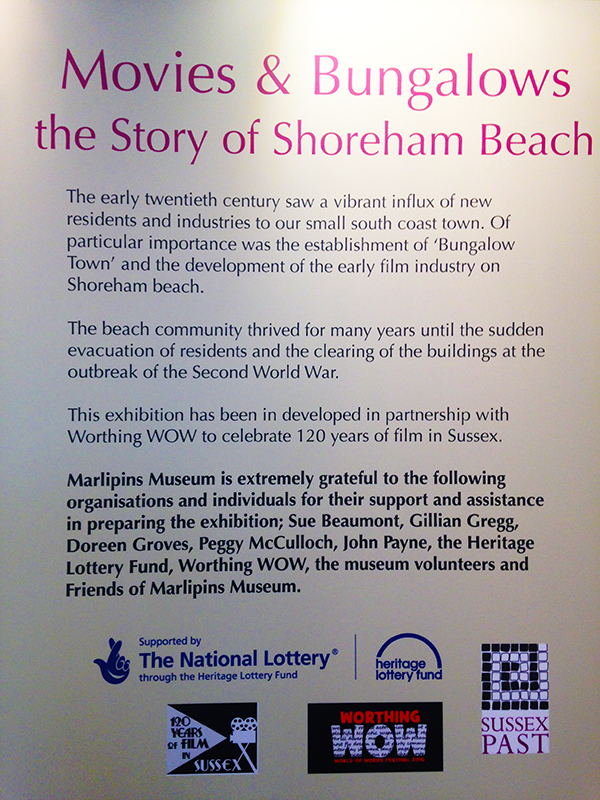 Of particular importance were the establishment of ‘Bungalow Town’ and the development of the early film industry on Shoreham beach. 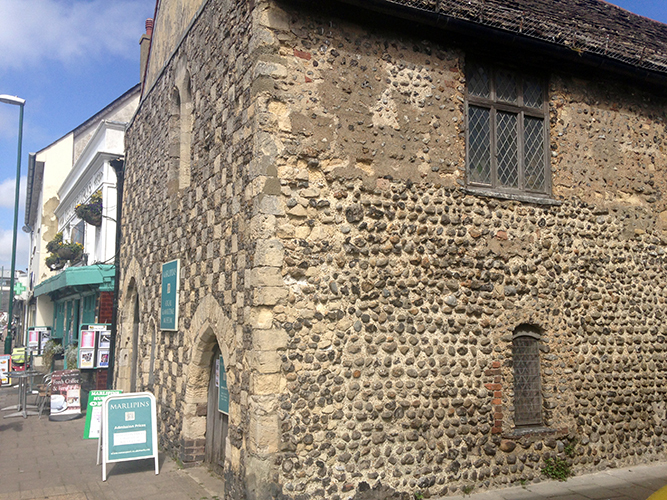 The beach community thrived for many years until the sudden evacuation of residents and the clearing of the buildings at the outbreak of the Second World War. 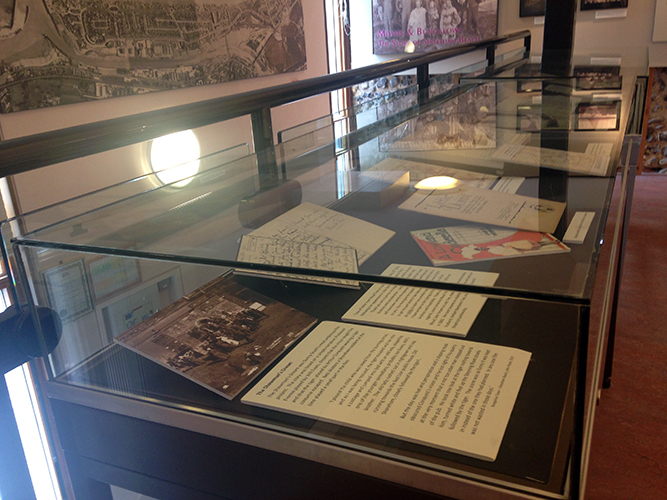 The exhibition drew on historic images and associated material held in the museums collections. 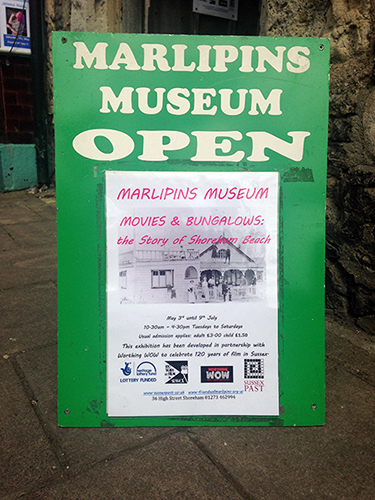 Many thanks to the volunteers of Marlipins Museum and curator Emma O’Connor for putting this exhibition together.